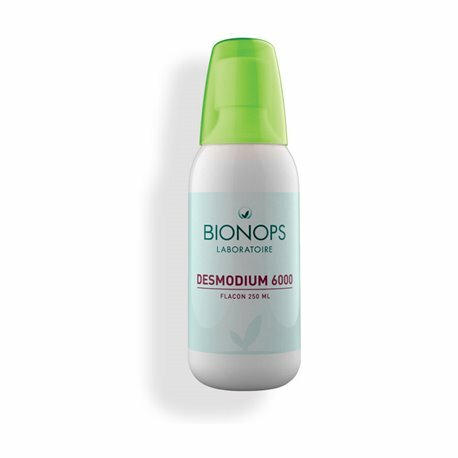 DESMODIUM 6000 Liver functions 250 mL Bionops in our pharmacy bio, Comment on advice for use and dosage with our partner Avis checked after your purchase. Accompanying cytotoxic chemotherapy and any drug treatment with hepatic risk. Desmodium promotes liver function . Vitamin C helps protect cells against oxidative stress and contributes to the normal functioning of the immune system . 1 dose of 10ml per day, preferably in the morning. Shake before use. Pour 10 ml of Desmodium 6000 into the measuring cap and dilute with 40 ml of water. 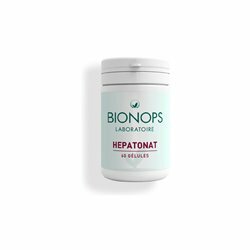 Give your opinion on the advice for use and dosage of DESMODIUM 6000 Liver Functions 250 mL Bionops with our Verified Reviews partner after your purchase. Water, Dry extract and fluid excretion of Desmodium (Desmodium adscendens), Vitamin C, Acidifier: citric acid, Consevator: potassium sorbate. Not recommended for pregnant or breastfeeding women and young children, without advice from a health professional. Food supplement, can not replace a varied diet, balanced and a healthy lifestyle. Bionops comes in a 250 ml bottle. How to help the liver regenerate ? Liver function is the set of actions that the liver performs. One of the main functions of the liver and gall bladder is digestion and the production of digestive enzymes that are released into the small intestine. However, the liver also helps control the metabolism and works with the body's immune system to fight off harmful cells and substances that threaten the body (a phenomenon called "phagocytosis"). The liver helps the body digest fats by secreting bile that empties into the duodenum. It has three main functions: the manufacture and storage of energy, the manufacture of bile, and detoxification (make harmless the toxic products absorbed by the intestines). A suitable diet : We think of these few foods particularly beneficial for the health of our liver: black radish, citrus, artichoke, garlic, almonds or even green tea and turmeric. Cures of plants : It is full of plants with digestive virtues. A healthy rhythm of life : We adopt a regular physical activity, we fill up with good energies, we get hydrated and we get rid of stress. Tips and tricks: the hot water bottle ! The normal temperature of liver function is 40 ° C. Placing a hot-water bottle on his stomach for about twenty minutes effectively relieves him of the engorgement and allows him to work to the maximum of his capacities. 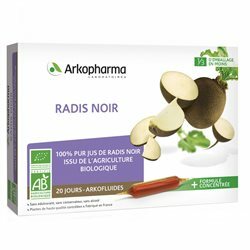 During this time, it degrades food and eliminates pathogenic bacteria, toxins and other metabolic residues. Bionops: a laboratory of 20 years of experience in the field of health and nutrition. The Swiss Bionops laboratory specializes in the research and development of nutritional supplements that are effective and of high quality. Quality and efficiency: Quality is a value applied to each stage of the manufacturing of their products: in the choice of the raw materials used, in their origin and their traceability, in the control of the active principles, in the requirement concerning their purity, in the systematic choice of the most natural additives possible and in the follow-up of manufacture. The effectiveness of their formulas is ensured by a systematic optimization of the assays of assets, their synergies, their bioavailability and their biocompatibility. Expertise: The expertise of Bionops Laboratory is based on a close collaboration of our scientific team with specialized referral physicians and members of research groups. They participate in the development of products as part of specific care recommendations. The Bionops laboratory also gives a fundamental place to the relationship of exchange and cooperation with therapists and practitioners, holders of a unique field experience. Innovation: The innovation of the Bionops laboratory lies in this fundamental research of quality, efficiency and expertise. It allows practitioners and their patients to benefit from a renewed range, unevenly with the most efficient components of the market, in line with the latest regulatory requirements and increasingly adapted to current consumer issues. Guaranteed capsules 100% of plant origin. Do not contain titanium dioxide, iron dioxide. Choice of a printer labeled Imprim'vert, in order to reduce the environmental impact of printing activities.